Squirrel-activated cameras in testing a way to feed red squirrels without the grey ones stealing all their nuts. 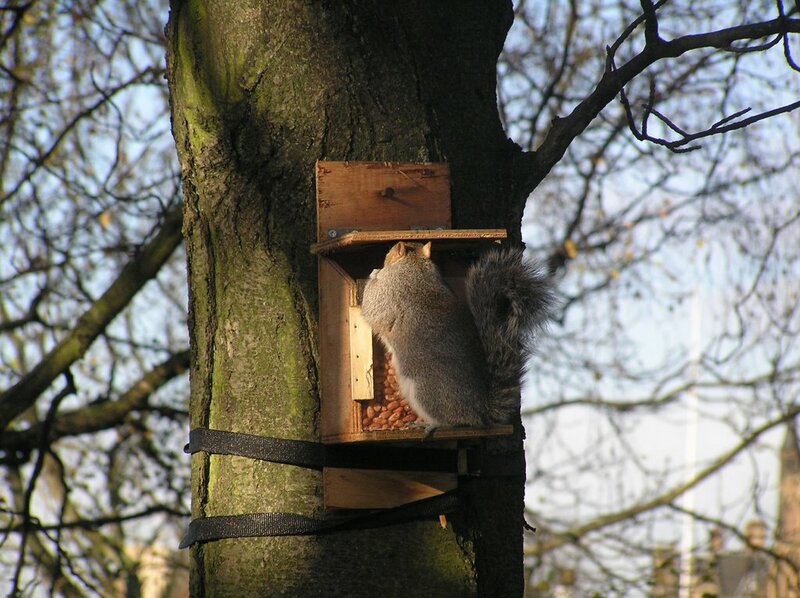 The grey squirrels in Kelvingrove are eating through my sack of peanuts in no time. It cost £27 and weighed 25kg which seems a lot after the first mile in a back-pack... It's all worth it tho. I'm taking recordigs every ohter day from the counters which are showing about 100 lid-lifts a day form each feeder. 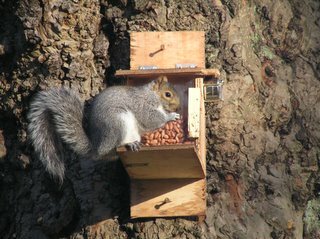 Although the squirrels in one spot still haven't leant how to lift the lid and insist in chewing through whatever defences I add to the feeder... Stupid squirrels. Oh! It's a website full of squirrels! Why did no one tell me about it before?? 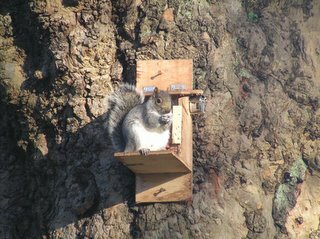 hey i walk past the feeders ever day and think of you my squirrel freind how are you not see you at the feeders in a longtime hope study going well!!! 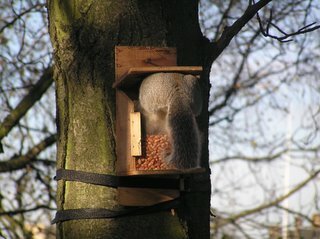 I wonder why the squirrels in one area can't lift the lid, whilst the others can? Are the boxes or terrain different in any way? 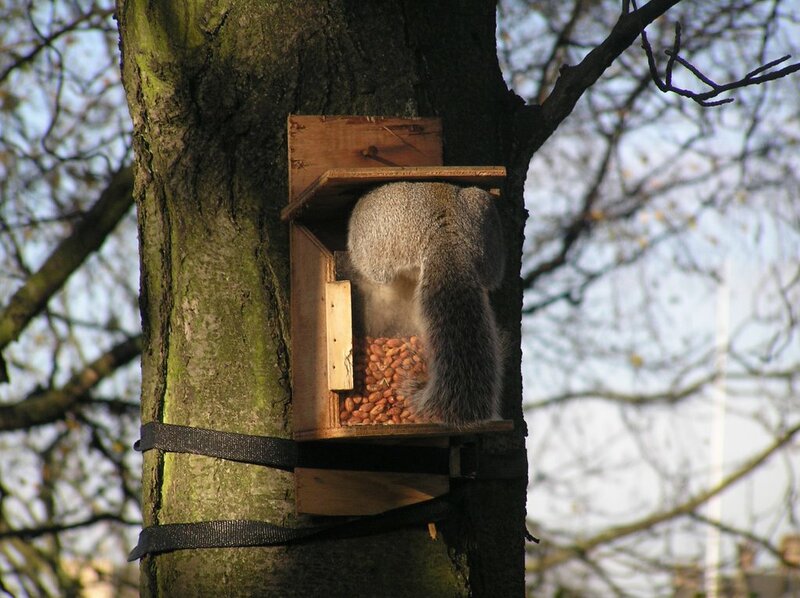 In my experience, squirrels learn any kind of action very quickly if it leads to food, so this seems very strange indeed. Also, has there been any change in the situation since you made the post? All images copyright Henry Dobson excepting those taken in Gosforth Park Nature Reserve as part of an ongoing 3 year research project, copyright Veronica Carnell.